With Christmas day approaching quickly, the rapid pace in seeking the ideal gift makes us wish we had a high-speed performance car. A red Ferrari or SRT Viper would definitely win the race for a space at shopping malls (although you may have problems finding room to place purchases). This year was the 50th anniversary for sports car production by Italian company Lamborghini. Enduring several ownership changes, contention with full impact of emerging emission standards during the 1970s and 1980s as well as the other challenges of a small niche vehicle producer, Lamborghini is one of the premier names in exotic performance. For those who want to relate to the Lamborghini lifestyle but lack the finances for buying the Aventador, one of the final Gallardos or the upcoming Huracán barring a holiday lottery win, the tenth day of car gifts provides a high-performing wearable way to support the raging bull badge. 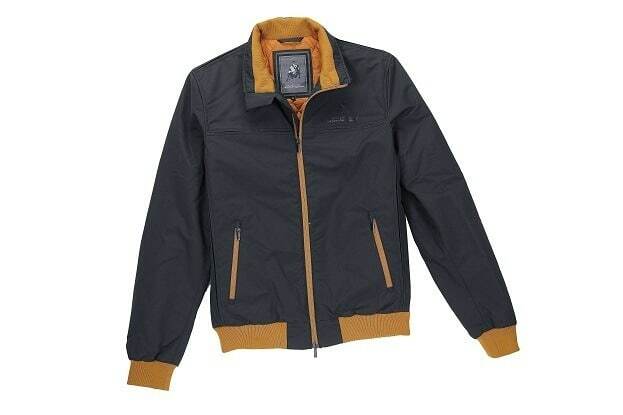 Part of Lamborghini’s 2013 Autumn/Winter collection, a range of quality jackets for men and women can provide the connection aspiring supercar owners would want. A new item is a well-layered techno jacket available for both genders. Presented in a bomber style for men, the Lamborghini techno jacket is presented in a color combination of grey matched with a pumpkin yellow accent. 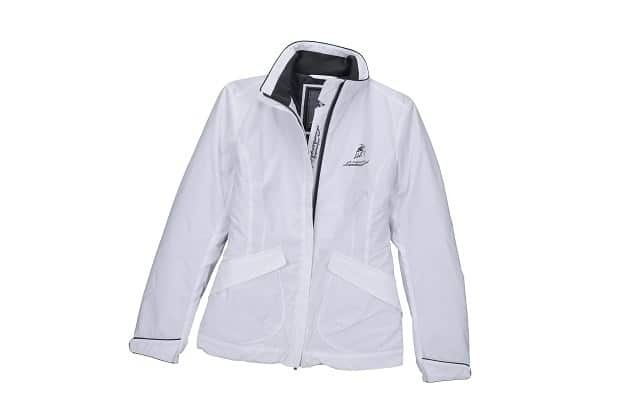 The female version of the Lamborghini techno jacket is dominantly ice white with a steel grey accentuation. The Lamborghini techno jacket provides a desirable protection from weather. Making the new Lamborghini techno jacket so incredible is the incorporation of high-grade materials. The outer part of the jacket features a water repellent material while the inside contains the shielding of padding to resist cold temperatures. The Lamborghini Men’s techno bomber and the techno field jacket retails on the sports car company’s website for $591.00 less shipping and custom charges. To complement their vehicles, Lamborghini is known to unleash some very exclusive and pricey lifestyle accessories. Celebrating their 50th anniversary, a BMC sourced bicycle was selling for $32,000 earlier this year. Also available from Lamborghini for the 2013 holiday season is $30.00 iPhone 5 covers or you can buy an authentic connecting rod from a Gallardo or Murcielago for $652.00. No Comments on "Tenth Day of Car Gifts: Lamborghini Techno Jacket"